Funds totalling Rs 2 lakh crore earmarked for panchayats by the 14th Finance Commission should be utilised efficiently in projects aimed at uplift of rural India, a Union minister said on Thursday. 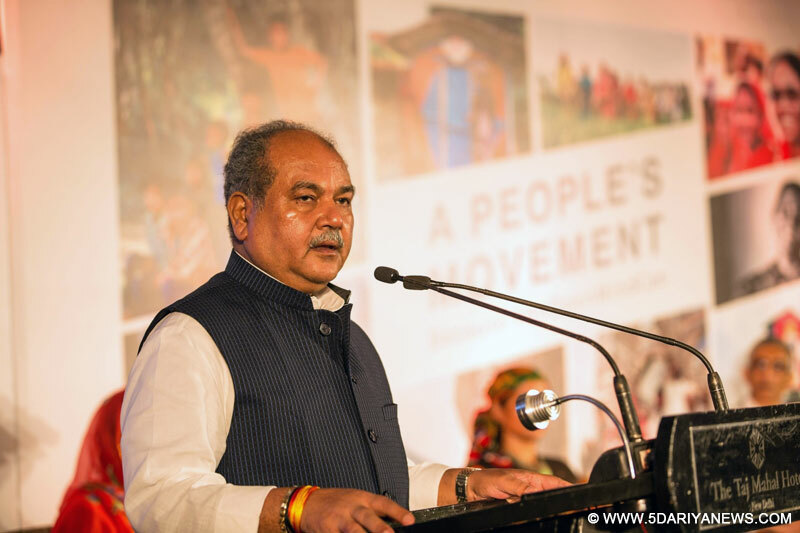 "The funds should be efficiently utilised for projects aimed at the uplift of rural areas in India," said Union Minister for Rural Development, Drinking Water, Sanitation and Panchayati Raj Narendra Singh Tomar.He was delivering the inaugural address at the three-day BRICS Conference on 'Participatory Local Budgeting', which began here.Tomar said the Centre is keen to prioritise waste management to promote sanitation across the country, and is set to conduct training for all panchayat members to this end. "We can adopt the model of Tamil Nadu panchayats wherein they are generating income from waste management. They convert waste into fertiliser and the waste that is still left can be used for other purpose. This model has been so far implemented in 9,000 villages. It will help alleviate poverty," the minister said.The three-day conference, organised by the Panchayati Raj Ministry, has experts from Brazil, Russia and China, besides elected representatives of local bodies from different states of India attending.The conference is part of an ongoing effort to better synergise Participatory Local Budgeting initiatives in BRICS (Brazil, Russia, India, China and South Africa) countries, cities and civic bodies through dialogue and cooperation.Union Minister of State for Panchayati Raj Parsottambhai Rupala, who presided over the event, also spoke on the occasion.State Local Self Government Minister K.T. Jaleel said: "We have a good system of decentralisation with Gram Sabhas. The concept itself was coined by Mahatma Gandhi, who called for self-sufficiency of villages. The country is following his path."